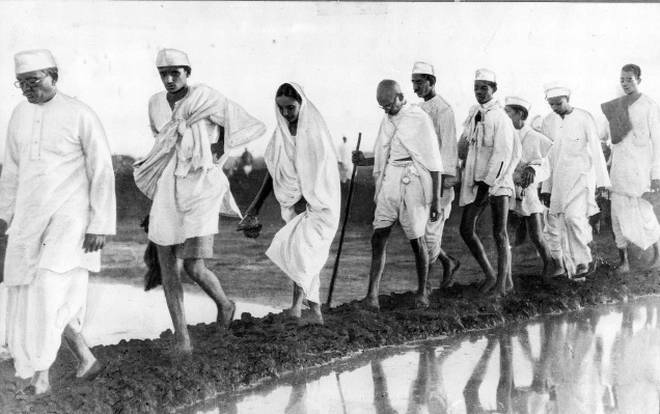 Dandi march also known as salt Satyagraha was a protest against the salt tax. It was a nonviolent civil disobedience movement led by father of India Mahatma Gandhi. Dandi March was one of the most important, historical and inspirational freedom movements of India. Salt was taxed in India since very early times. However British increased the tax on salt to a very large amount. In order to ease and facilitate the import of salt, government imposed special taxes in the year 1835. Salt was imported from Liverpool which increased the rates on salt. Later the British government set up a salt act in 1882 in which it was stated that government had complete control on collection and manufacturing of salt. Production of salt without the permission from the government was punishable. These stringent salt taxes and the salt act were publicly condemned by the Indians. Even after the crown took over the administration in the year 1858 the salt act was not removed. Under the new salt law nobody had the right to manufacture salt without the government permission. It could be manufactured and handled only in the official salt depot with a tax of 82 pounds. Later agitation started against the tax and in the year 1930 Gandhiji started the Dandi March for abolition of tax. On 31st December 1929 the Indian National Congress declared Purna Swaraj and Gandhiji started the civil disobedience movement. Dandi March was the beginning and important civil disobedience movement. As freedom struggle became more serious and non violent, British ruined India politically and economically. Before starting the march Gandhiji wrote a letter to British Viceroy about his intentions of civil disobedience movement and starting of salt Satyagraha. The viceroy ignored and did not reply to the letter. Gandhiji feeling sad exclaimed the following sentence “on bended knees I asked for bread I got stone instead”. Gandhiji was in regular contact with the media world wide with his intentions of starting salt Satyagraha movement. On 7th March 1930 Sardar Vallabai Patel was arrested at Ras, who had gone to inspect the facilities for the march that was beginning on 12th march1930. On 9th March around 75,000 assembled in the ashram to show support for the salt satyagraha. On 12th march 1930 Gandhiji along with many freedom fighters and Sarojini Naidu started the Dandi march from the Sabarmati Ashram. The 25 day march ended on 6th April 1930 at Dandi, a small village in Gujarat. People wearing white Khadi started the march at 6.30 am from the ashram after doing their regular prayers. All the workers walked for 240miles crossing different villages. The march crossed 4 districts and 48 villages. On the first day Gandhiji and other members walked for 21kms and ended in the village of Aslali. Thousands of villagers and satyagrahi’s joined Gandhiji everyday from different villages. On reaching the village Dandi nearly 50,000 villagers and workers had joined in the protest. On 6th of April Gandhiji and his followers reached Dandi. They took a hand full of seawater and boiled it to produce salt. What had begun just as salt Satyagraha became a mass movement. People started to reject the clothes and the goods of the British. The British who were very angry with the movement declared the congress and its associates as illegal. Salt depots were raided. Nearly 95,000 workers were arrested by the British. Gandhiji was arrested on March 4th from his temporary ashram at karadi which was close to Dandi village. 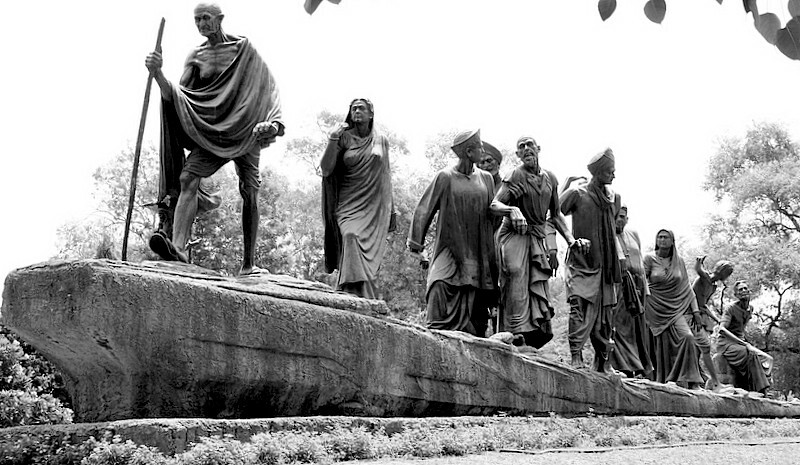 With the arrest of Gandhiji the salt satyagraha ended but it had a huge impact on the freedom struggle. The British government imposed even more strict and harsh laws on the Indians. It also imposed censorship on Indian media and journalism. Whatever Dandi march had a great impact on the Indians to gain freedom from British.